BitConnect is an excellent example of a scam for billions of dollars. Maybe only few people didn’t hear about such cryptocurrencies as Bitcoin and Ethereum. But only a few people have heard about such an unusual cryptocurrency as BitConnect. Despite the fact that BitConnect reviews are very different, it is included in the top twenty of the virtual money rating and has an enviable level of capitalization. By why do people consider BitConnect a scam? Is there any reason for this? What if this just an attempt to eliminate the competition? Last year, a project called BitConnect (BCC) appeared. The technical description of the BCC itself doesn’t cause any interest. The developers simply took the old source code and started a new project on its basis, without inventing anything beyond something unusual for the world. But what is really interesting is their system as a whole. BitConnect is indeed a rare phenomenon in the world of cryptocurrency. This name hides not only virtual money but also an ultramodern investment platform that allows people to invest money and make a noticeable profit. BCC offered a 3-level referral system for those who bring their friends – from 5% for the first level, 3% for the second, and 2% for the third. This attracted many people. The release was extremely successful. Only within a week, the cost of cryptocurrency made a tenfold jump and gathered several million followers around the world. - Deposit 10010 $ -100000 $ for 120 days - 40% per month + Bonus 0.25% per day. You just make a deposit and get that kind of profit. This is in excess of profits. And it is absolutely not clear, for what exactly. Even if you ask investors and miners of this currency who were making a profit, they can hardly intelligibly answer as well. This was the most important factor by which the pyramid is immediately determined. But people are blinded by profit and there is nobody to open their eyes. BitConnect had incredible PR. That is, the coin has grown in price more than 1000 times! These operations performed by BitConnect make it unique. One of the most realistic assumptions is that it includes a seven-level system that pays the referral for attracting other referrals. The key moment of this payment system was in its feature of investing in cryptocurrency, without the participation of any crypto-exchange. Everything happened inside its own platform and its own cryptocurrency. But the flattering BitConnect reviews of experts didn’t keep people waiting. 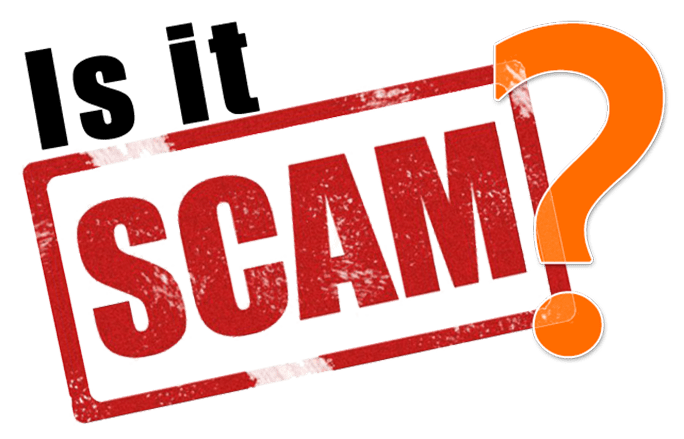 Can you answer the question “why is BitConnect a scam?” after reading the previous section? If no, then you need to read it to the end! Immediately after the launch of BitConnect, most people can notice that the company’s vision is fundamentally different from what it wanted to make everyone believe. Not only the market capitalization of BCC provoked suspicions of the community that the company is starting a referral scheme. Such programs exist in different areas. People who invested a lot of money in BitConnect were promised a daily income of 0.25%, which turns into 90% during the year. At first, the proposal seems very, very attractive. Having skimmed through the BCC schedule on Coinmarketcap, people could understand that the coin was in good condition. Yes, BitConnect was a multifunctional platform (only its selling video lasts several minutes), but its credit program provoked numerous disputes. At the stage of the appearance of BitConnect, the developers promised that they would immediately work with Poloniex and Bittrex. But it didn’t work out. The top digital exchanges immediately disowned it. This was to be the second red flag for people that it is not worth entering into this fraud. By the way, the personalities of BCC developers are unknown. The trading platform was closed in winter. This decision was explained by the requirements for termination of activities received from the authorities of the USA. According to the regulators, this cryptocurrency was engaged in the trade of unregistered securities in states. The requirements of regulators made the legitimate existence of the platform difficult. This cryptocurrency used a number of questionable methods to work and promoted its business. The proposed business model was economically unstable since the current level of profitability couldn’t be confirmed by any official system of investments. As a result, authorities decide that BitConnect is a real scam and exclude it from the rating list. Developers of BCC also explain this situation with attacks of hackers and negative publications in the press that worry people and undermine its credibility. The most popular developers accused BCC of false promises and work on the Ponzi scheme (traditional financial pyramid). This is an obvious BitConnect scam proof. It is reported that, subsequently, some users filed a class action lawsuit against BitConnect demanding compensation for damages, which totaled $700,000 only for the specified claim. All other exchanges that supported BitConnect also got a strong blow to their reputation. However, the founders of this cryptocurrency creates new project. So, be aware because many people may ask you invest in new cryptocurrency. However, Jump4love has no scams like this. So, you are in safe while getting acquainted with people. Before BitConnect died, many actually saw what it was all about. Nevertheless, thousands of people still lost their money. Analyzing information about BitConnect, we can say that this project was doomed to failure. How people have not noticed this before? And this causes concern. From the very first day of the project’s existence, red flags appeared, understandable even to those who were not familiar with investing in cryptocurrencies in general. Also, in a few months of its existence, BitConnect has got a decent number of fictitious supporters in YouTube. Unfortunately, such scams cast a shadow on the whole market and also damage the reputation of community members who are working on innovative solutions in a number of industries. In addition, cases of large-scale fraud are the starting point for aggressive attacks of skeptics. However, representatives of the authorities and public in general should avoid generalization in this matter. Undoubtedly, many people aspire to take advantage of the hype around the new technology – unfortunately, there is a place for criminals. However, this doesn’t detract from the merits of the best minds of the IT industry that create innovations and do their work brilliantly. And, by the way, you can meet such developers on dating sites. You can be sure that Jump4love hasn’t such a scam and you will never meet scammers who offer you to invest money in BitConnect.